Six World Title Matches Tonight! Ann LaVerne defeated Helen Hild in two falls, and Daniel Boone Savage pinned Jimmy Ray then was disqualified against Herb Lawson in last night’s matches at the Beach Arena. In a mixed team match, LaVerne and Lawson wrestled Hild and Saul Weingeroff to a draw. 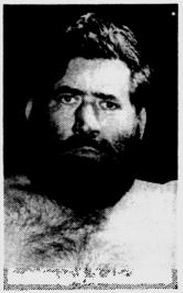 Chester Piechocinski defeated Jimmy Ray and Ted Rozankowski took the Boston Bull, who was disqualified.